Emma's Room opened for business in January 2011 and has already proved to be a big hit with customers in Falkland & the Howe of Fife. We offer an extensive range of beauty treatments & products and can accommodate any special requests you might have. Our award winning salon has already won a number of prizes and this year Emma is in the Finals for 'BABTAC Uk Beauty Therapist of the Year 2016! Watch this space to see if she goes all the way at the awards ceremony in London in June. 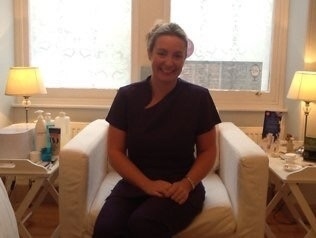 She also continues to develop the range & quality of services on offer, the most recent being Sports Massage therapies and Audio Sonic treatments. We are exclusive suppliers, in Fife, for the Eminence Organic skincare products favoured by many celebrities and always pride ourselves on providing a personal and bespoke service for all our customers. Emma's Room is owned and managed by Emma Ward who has previously worked at both the Old Course Resort & Fairmont Hotels in St. Andrews. Her business philosphy is the delivery of top quality, personalised beauty treatments at affordable prices.